Many high-end vintage watches, Constellation included, were given the diamond treatment after-market, however it has also been a long tradition at Omega to produce montre bijoux (jewellery watches) – more than a hundred years of tradition in fact. 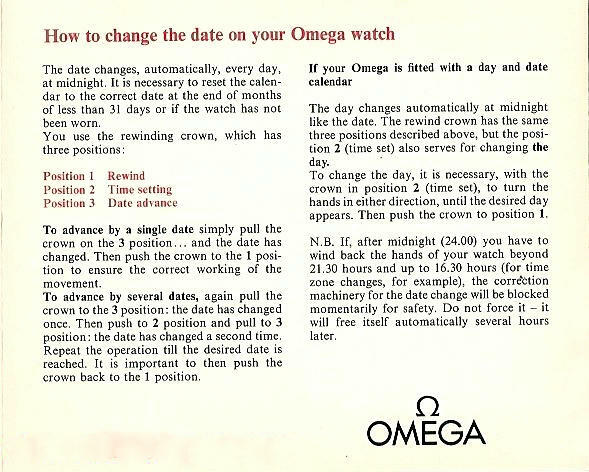 Omega was very active in luxury and jewellery watch design in the nineteen-fifties and sixties, winning the prestigious Diamonds International Award three times between nineteen fifty-seven to sixty-four. Jewellery Omega Constellations, whether the famous enamelled dials of nineteen fifty-four, diamonds dials of any period or the magnificent Constellation Mille et Une Nuits collection of the seventies, rarely surface on Internet markets. These types of watch tend to stay in families as heirlooms and, besides, they were made in limited quantities and thus are uncommon to begin with. In this updated essay a range of Omega Constellation diamond dial models are reviewed. Thanks to those who consented to share their prides and joy. Suffice to say, that if you own one of these sparkling beauties, I would be happy to add it to this essay. There is an essay under "Omega Constellation Buckles and Bracelets" linked in the RH column that specifically addresses Constellation accessories.